The people with the most chips know that ultimately their main obstacles to the big stack will be anyone else with a big stack – first at their table, and then in the tournament as a whole. Often, though, the big stacks will try and delay confrontation with each other. Instead, they gang up on the smaller stacked players to try and eliminate them and move themselves closer to a guaranteed money finish. The best way to play the small stack often depends on just how small you are. If you are really small and cannot survive more than one more round of blinds then, when you get a passable hand, you have to go all-in, whatever position you’re playing. If you find yourself in the big blind and the compulsory posting is half your stack, then you are locked into playing at that point, and have little alternative but to go all-in. You will not survive another round of blinds and even if you do double up, you will only be in the same position again one round later. It is true tournaments are about survival, but there is no point being blinded away. Short but not that short? However, there are ways to work around this. Firstly, don’t raise unless you’re fairly confident in your hand. If you’re holding strong hands such as A-K or Q-Q, you’re in a far safer position as the chances of your raise risking your small stack are significantly smaller. However, it’s also worth waiting for the flop before you commit, as you’re still lacking the safety net a big-stack player has. If you’re sat in mid-position with only one big stack at your table, you may want to raise with any ace or jack kicker – any card that may not determine your hand’s rank, but may tip the balance if there’s a tie with another player. Late-position players with small stacks have the largest advantage, as not only is it going to cost you less to raise the pot, you’ll also get a better idea of what approach other players are taking before making your move. If you’ve got a small stack and you’re thinking of stealing the blind, you need to be very careful. If you’re going against a big stack, there’s a far higher chance of you being challenged and seeing your chip pile dwindle as a result, whereas small stacked players aren’t worth stealing from given they’re unlikely to pass up on the same opportunities you see before you. 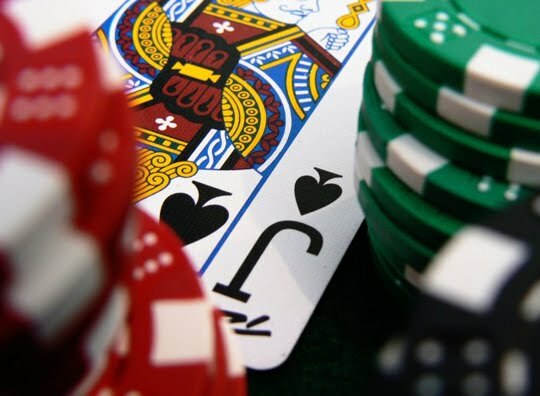 However, medium-stack players are ideal targets, as you’ll find that they will back off their blinds if a small-stack player raises given the inherent risk in them making such a confident play with so little standing between them and being knocked out – especially as medium-stack players can’t afford to challenge them as they don’t have a big-stack insurance policy. Some players may try to hang in there for as long as possible, but this is only the best strategy if you are near (or in) the tournament prize money and there are other short-stacked players. Being short stacked not only makes you a target for others, it bars you from many important aspects of a successful game such as seeing flops, playing drawing hands and picking up the blinds. It is vital to get out of the position as soon as possible, so work that table, steal the blinds you can get away with, and build that stack.